We had work to do ! The sandpit cupboard needed cleaning out well and truly, and I had the right team to help me with the task- Lincoln, Riley, Will and Alex Sherrif and Alex Croft. 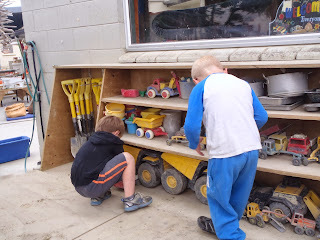 When we takaro kotou/ play work together we can achieve so much more, the boys took everything out we had a chain gang going at one stage, then the sand was swept from the cupboard, next it was time to categorise the equipment and finally put it back in the cupboard, after discussion, deciding where things fitted best and how they should be placed. 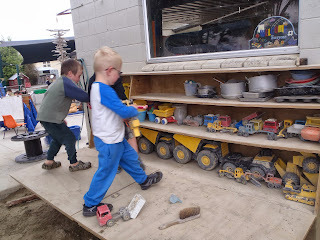 The boys were totally focussed on the job at hand. 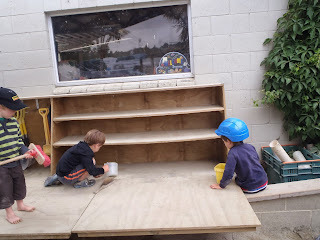 I remember hearing Pat Penrose from NZ Playcentre Association speaking and referring to observations that boys will talk more while working alongside each other or with an adult rather than face to face with nothing else happening, it certainly seemed to be the case in the sandpit . A few days later we noticed the potted hydrangea was well over due for planting out, we talked about it’s leaves looking dry and brittle and a little yellow. Interestingly some of the boys involved in the sandpit ‘working bee’ were there, Jacob and Amethyst joined us too, they helped to dig the hole, tease out the roots then firmed the soil around the hydrangea and water it, the young trees for our hedge were watered too. 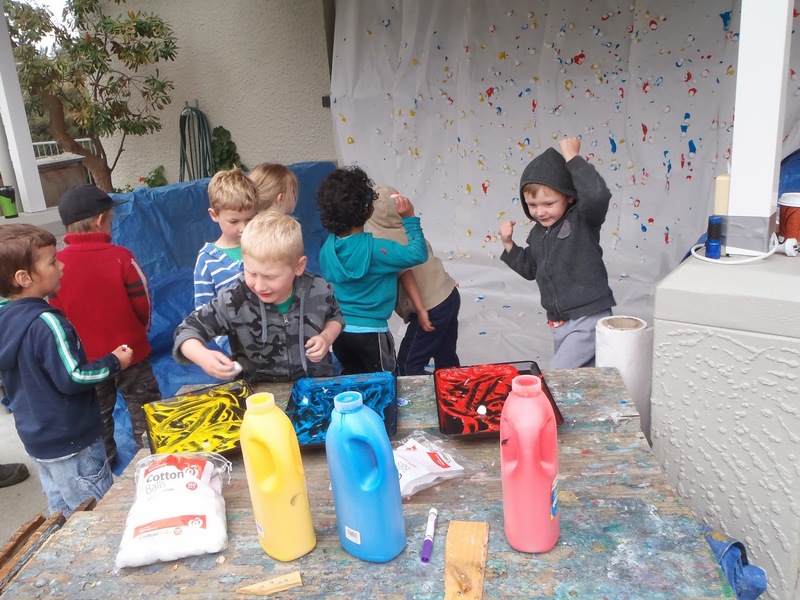 The children worked together happily having a shared purpose. I heard Lincoln telling some children not to chase the bantams. He pai ki ahau to manaaki i a/ I like the way you looked after the bantams Lincoln. At kindergarten we have been exploring Manaakitanga, the way we give protection, show respect, blessings or kindness. 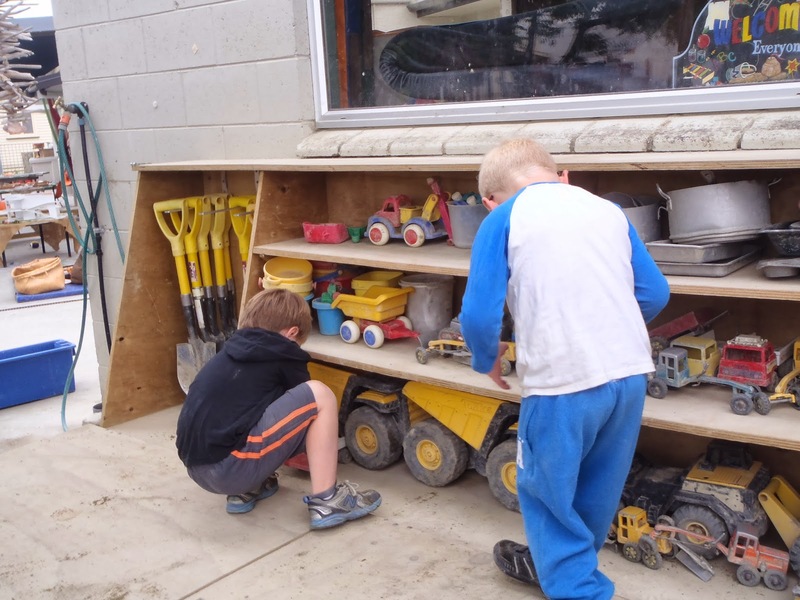 I am proud to see evidence of this behaviour at Geraldine Kindergarten. More babies to look after! Over the weekend Heather found 3 special little babies that need our help to survive. She found a nest of baby birds abandoned by their mother and thought it would be a great opportunity for the children to nurture them till they are big enough to look after themselves. Letting teachers know when the baby birds are hungry, has been a job the children are happy to take on, feeding time is usually about every hour during the day! Watch this space to hear how our three new arrivals are going. Today we were lucky enough to have Siobhan here to show the children some Ballet, she has been practicing since she was a little girl. The children at kindergarten had a great time watching and the wonderment and awe on their faces said it all. After watch and concentrating really hard the children then got up to practice some of the dance moves. 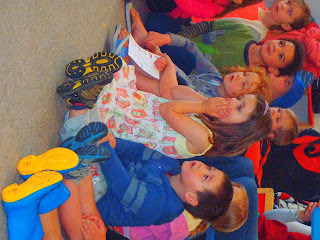 They had a great time listening to the different speeds of the music and the way that Siobhan moved to the different speeds of the music. This morning after some stories were shared Amethyst requested that she have a turn. 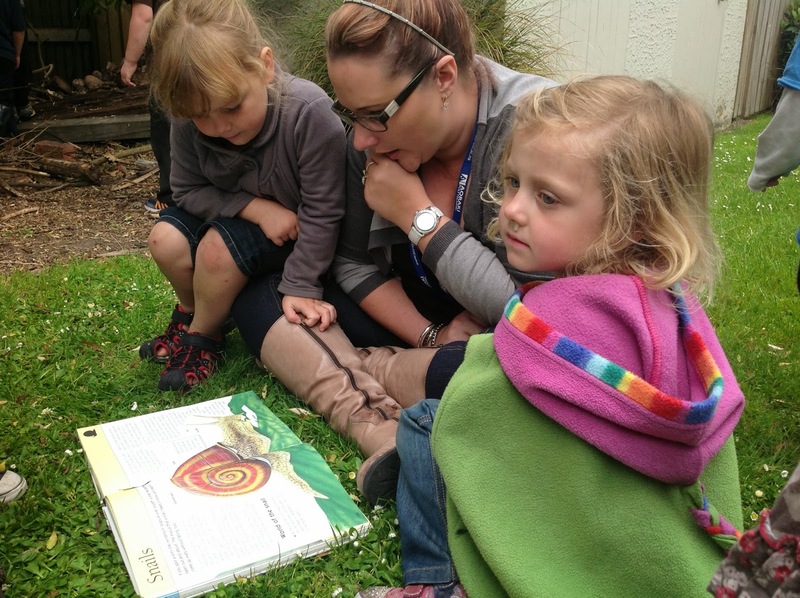 Children took on the responsibility of telling some of our their favourite stories to a small group of children. 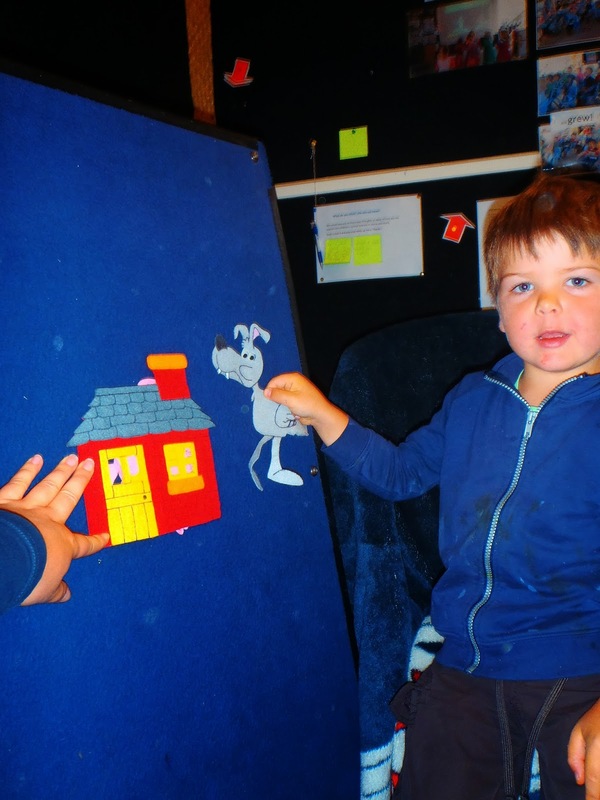 Amethyst, Alycia, Rachel and Lincoln all took on the opportunity to tell the story of the Three Little Pigs in board story form. Each child took a slightly different approach to sharing the story to the group but all did a wonderful job, it was delightful to watch! 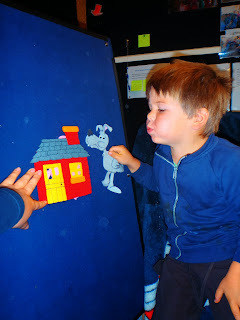 The big bad wolf huffed and he puffed but was not able to blow down the house that was made of bricks! Children involved in this story telling experience showed a real sense of belonging here at Kindergarten, as they got up in front on a group of children and re-told the story. I could tell by the look on their faces that a real sense of achievement was felt for getting up and sharing this story with their peers. Kei whea kē mai te pai o te mahi nei—What an excellent job. 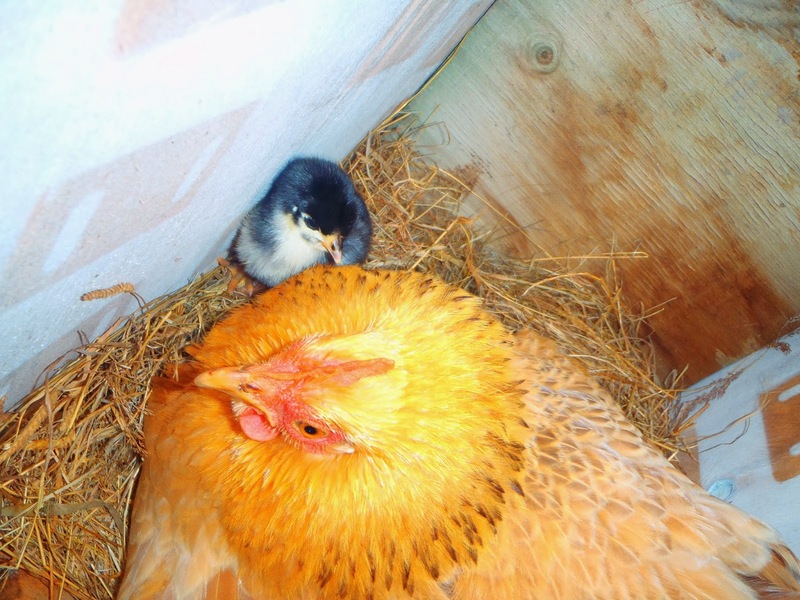 It has been a long 21 days waiting for our bantam eggs to hatch. Finally on Wednesday one chick made its was out and has been welcomed by some excited children over the past two days. Keep an eye out as this chicken grows, as the children discover if it is a rooster or a hen and who knows what they will decide to name it. James Dad Comes to Visit - A Rural Firefighter! This afternoon James' Dad Andrew came to visit. James was very proud to have him come along and share about his job as a fire fighter. The children enjoyed listening to Andrew talk about his equipment, then looking at and even holding them - some of them were very heavy! James took on the responsibility of carrying some of the equipment around the mat for his friends to have a closer look at - He rawe tēnā - This is great! 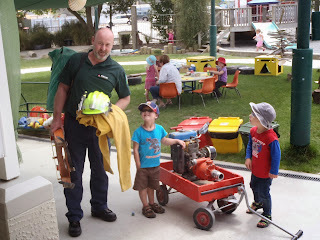 It was interesting to find out that fire fighters don't just use hoses to put fires out. They also carry equipment like spades and garden folks with them to smother a fire with dirt. 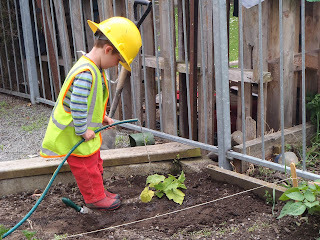 I wonder if our very own fire fighters at Geraldine Kindergarten will start using this technique to put out their fires? 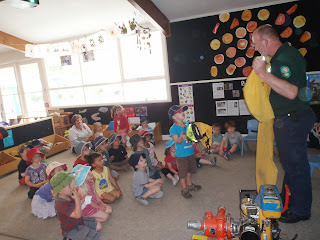 Once Andrew had shared with us about his job the children decided it would be a good idea to sing one of our fire songs, so together we shared Fire Truck by Ivan Ulz - a wonderful thank-you! So thank-you Andrew for coming to share your expertise with us. It is great to be able to have you come in and share with us exactly what it is that fire fighters do to help build on the interests of our children. 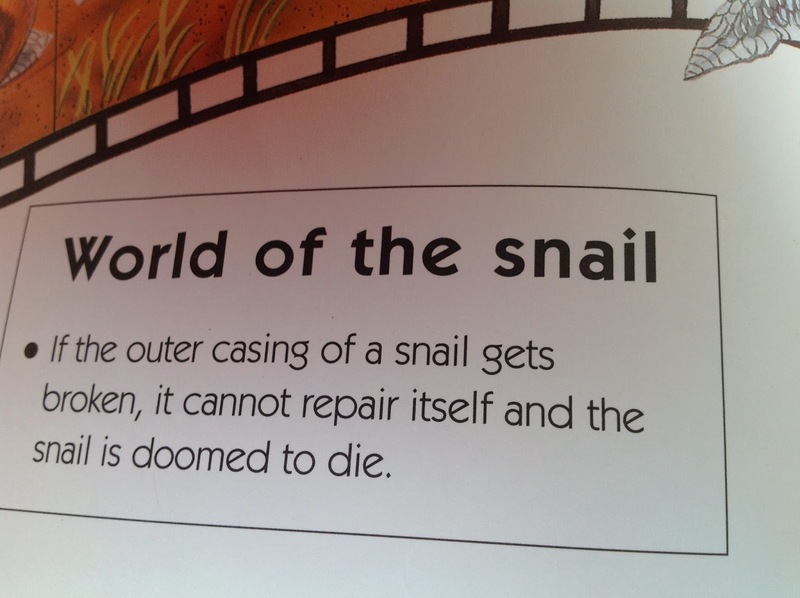 What is the most important thing in the world? It is the people! It is the people! It is the people! 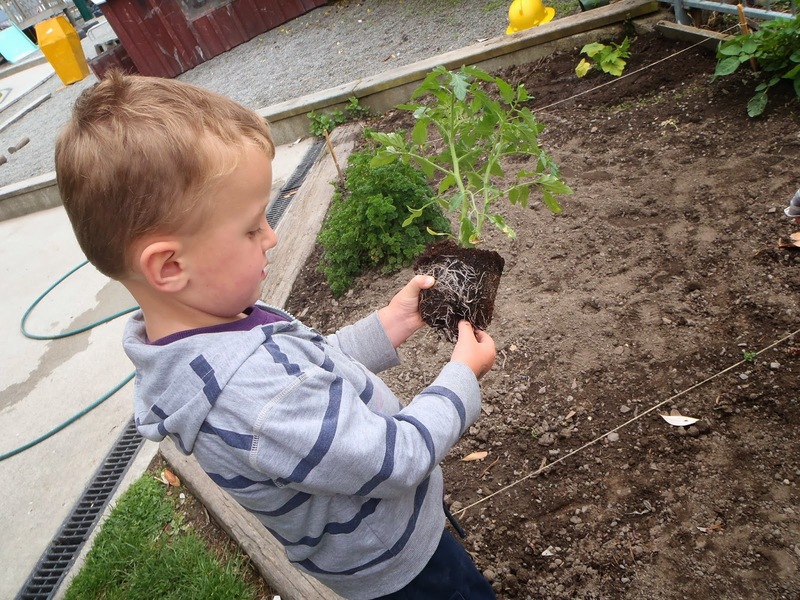 Planting pumpkin and tomato with the afternoon children, you're never too young to start gardening! Opal and Angus were keen to plant the pumpkin, together they dug the hole and then Angus used his feet to firm the ground around it. 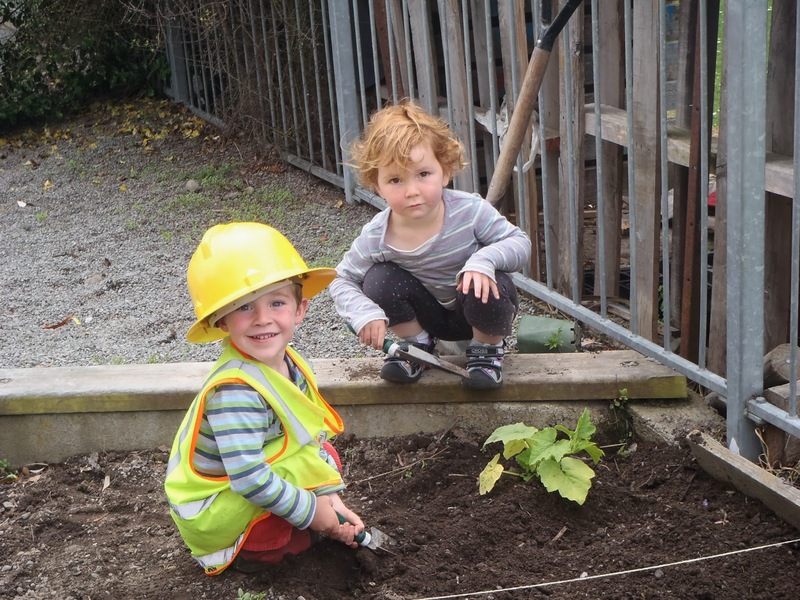 "We've given it soil for food and a home, what else does it need?" "Water " said Angus and he went to look for the hose. Then it was Ben's turn to tease out the roots on the tomato seedling before he planted it, thank you to Emily's mum, Megan, for bringing the plant in. 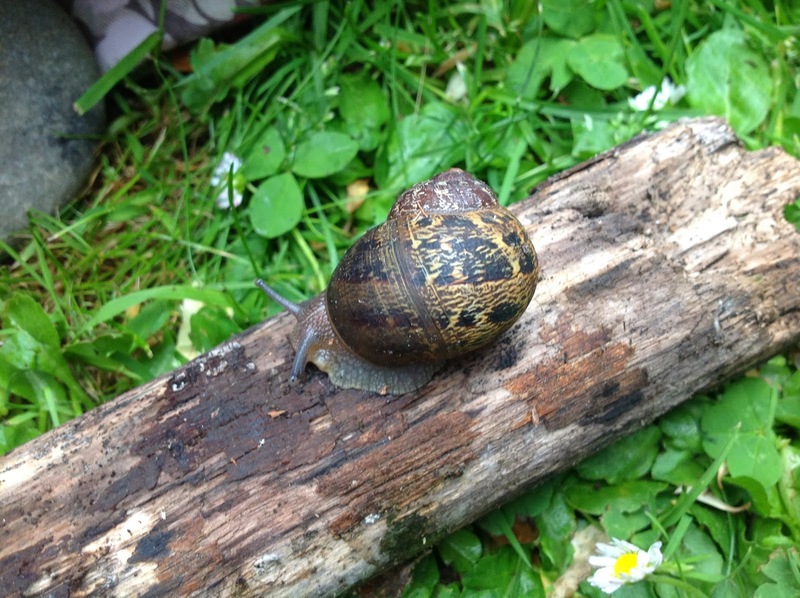 Kia ora ma tou awhina /thank you for helping, Angus, Opal and Ben. 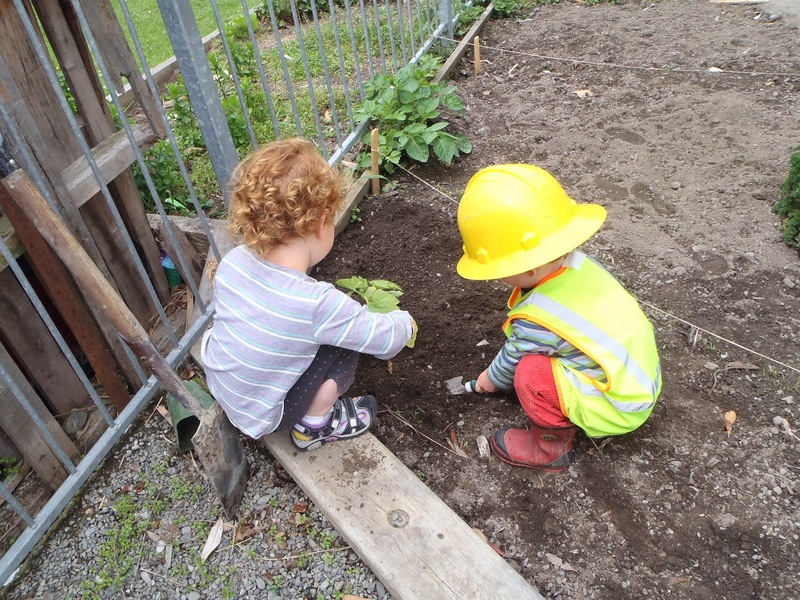 We will watch the plants grow, how will we care for them? Every term we undertake a fire drill with the children. In the afternoon the children are experiencing the practice for the first time. So today when they walked out the door together we thought how amazing these children were! 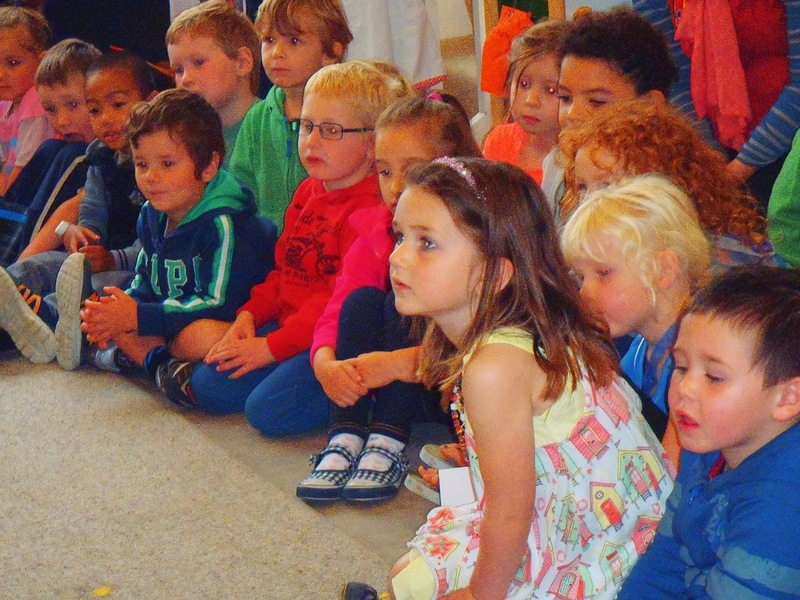 To add to the responsibility they showed, they were courageous in saying 'yes' when Heather said their name! Te meke o tamariki! You are awesome children! 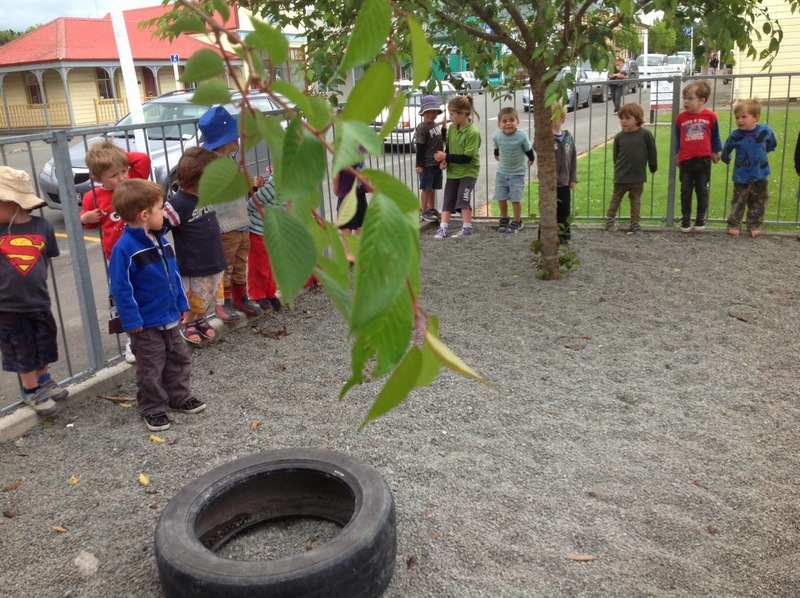 Lately our children have been enjoying using their upper body strength to move and build with our new tyres. Today however the day started off very wet so some strategic planning needed to happen to encourage children to exert their energy in a similar way but within a restricted area. Cotton ball throwing was ideal. 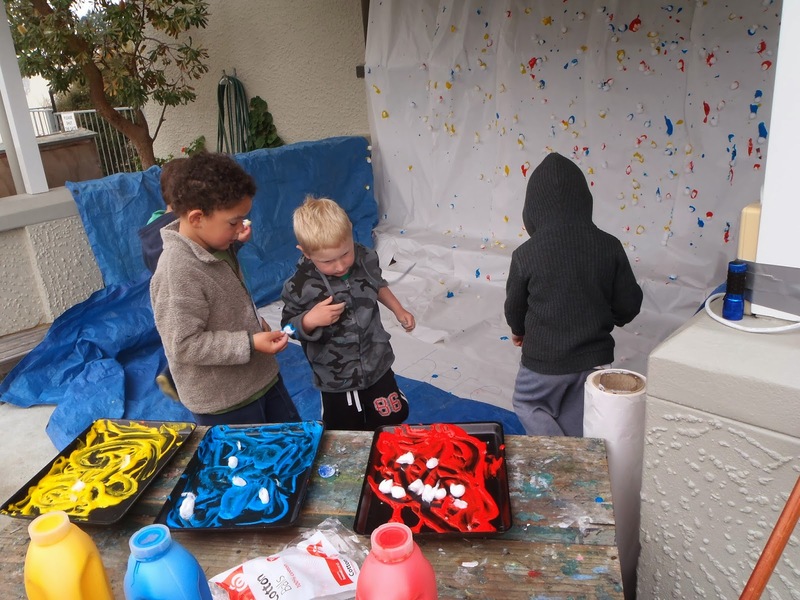 Children squealed with delight as they threw the cotton balls dipped in paint hard against the wall. They soon realized that it was the force of their throw that resulted in the height the balls landed ie the beginning of exploring physics. Tino pai rawa atu /excellent ! Its summertime / Ko te raumati! 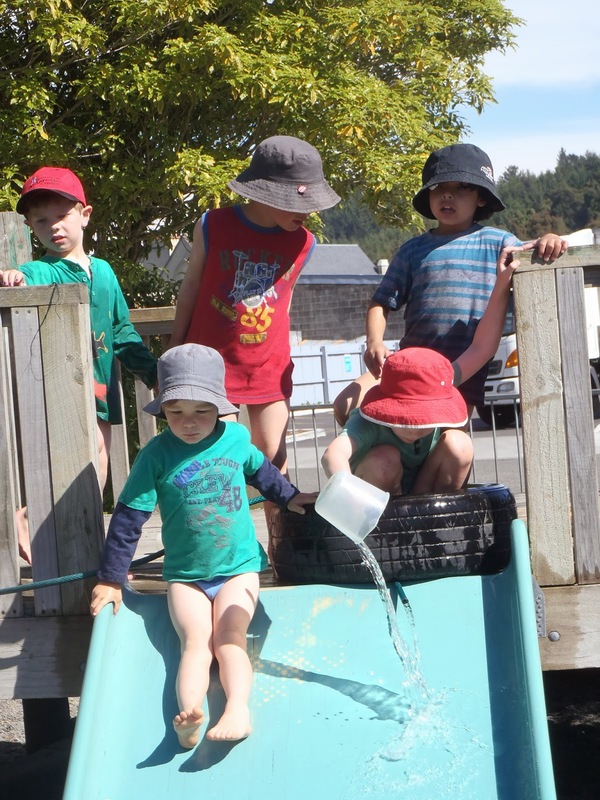 It was a stunning day this morning outside so our innovative children decided to cool off by creating their own water slide . 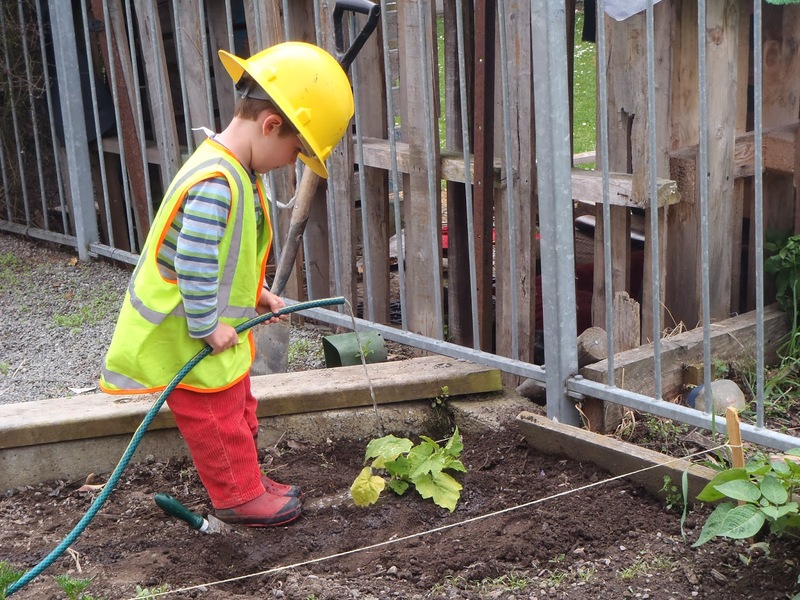 Initially they persevered with carting containers of water from the water trough then with a little bit of problem solving decided that the hose was a lot more effective. 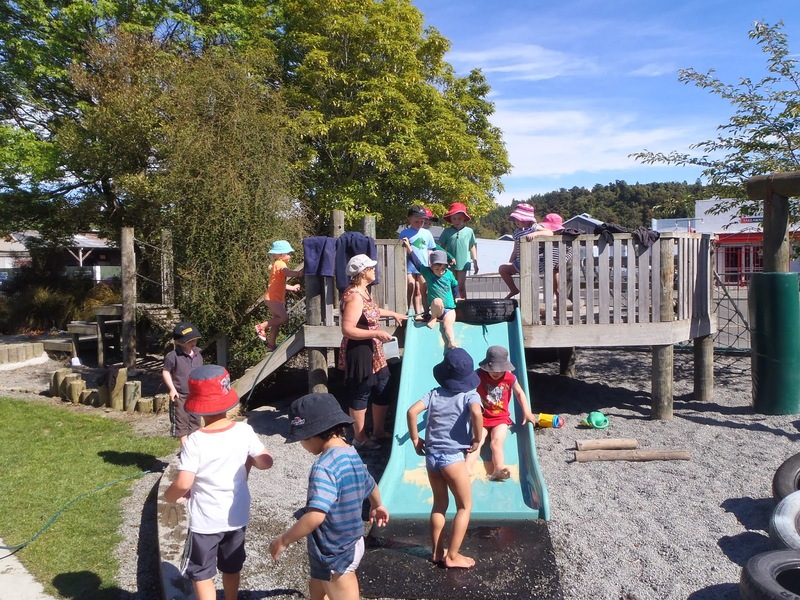 As well as being heaps of fun it required team work as the children negotiated the rules to ensure that they remained safe.